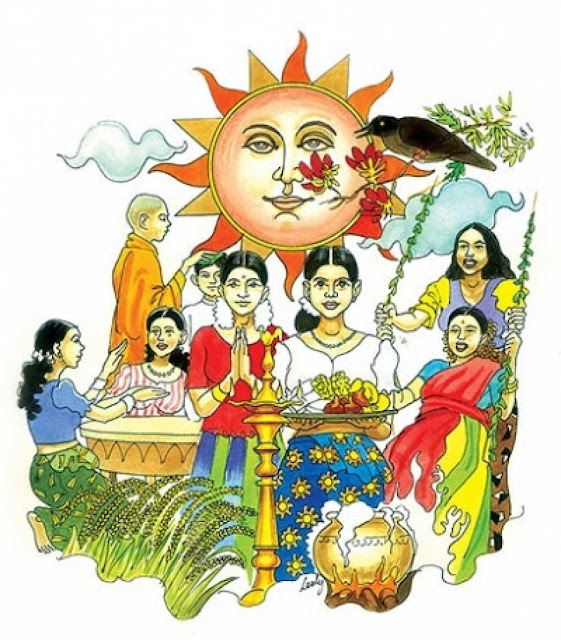 Every year Sri Lanka celebrates the Sinhala and Tamil New Year which falls on the 13th of April. 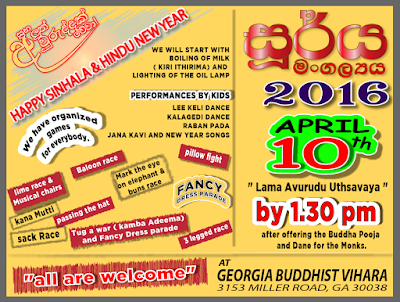 The Sri Lankan New Year is a time where family and friends come together to celebrate and participate in traditional events associated with the beginning of a new year. There are many different events that are carried out at auspicious times during this festive season. Boiling milk over a clay pot signifies the welcoming of the New Year. The New Year festivities commence with the traditional lighting of the oil lamp. Gifts such as new clothes and money are exchanged and the entire family gathers around the dining table where traditional food such as kiribath (milk rice) and other delicacies are shared. Activities such as pin the tail on the elephant, sack race and tug of war are some of the games that are enjoyed by both the young and the old during the New Year celebrations. 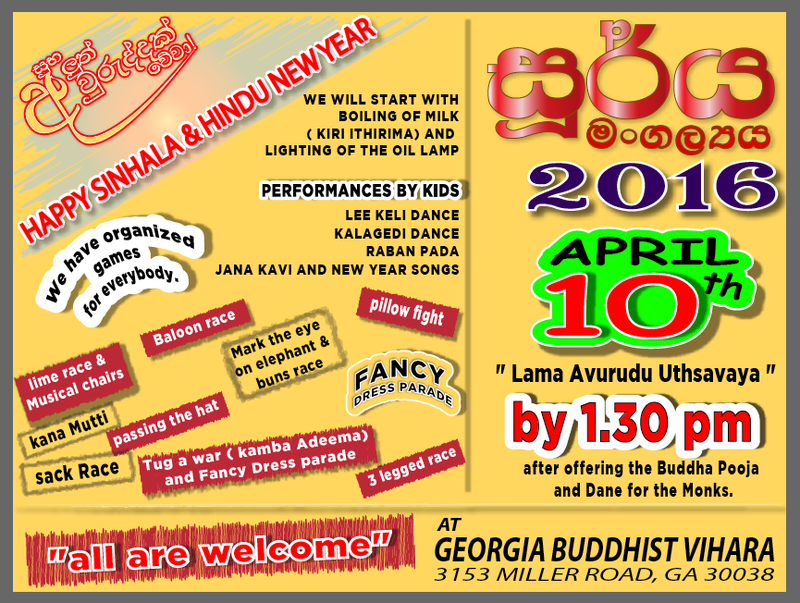 On behalf of the Georgia Buddhist Vihara and Sri Lankan Community in Georgia, We wish all our friends and well-wishers a very happy Sinhala & Tamil New Year and cordially invite you all to the Sinhala & Tamil New Year Celebrations at 10.00 A.M. on Saturday 10th April 2016 at the Georgia Buddhist Vihara, Lithonia GA.
01.00 pm Celebration Assembly Lighting the traditional oil lamp and Pirth Desana.